Embodying the spirit of quattro, the Q7 offers superior performance and rugged good looks. The cutting-edge technology onboard ensures the Q7 is truly unstoppable. The 2018 Audi Q7 3.0T is available at our Pfaff Audi Vaughan dealership, or our at our pre-owned car facility located at 115 Auto Park Circle in Woodbridge! In this article by Pfaff Audi Vaughan, we will talk more about this premium quality Audi SUV. Read on for more information. Featuring a lightweight and powerful TFSI engine, the 2.0 boasts a strong 252 HP. For more demanding drivers, a supercharged V6 offers 333 HP. The choice is yours. With a ratio to suit every situation, the snappy eight-speed Tiptronic delivers the ultimate in driving dynamics. With manual control and steering-wheel paddle shifts, the gearbox is always ready to thrill. Tailor your driving experience with the available air suspension. A variety of modes and ride heights ensure the Q7 performs the way you want. Four-wheel steering ensures this SUV is nimble on its feet. 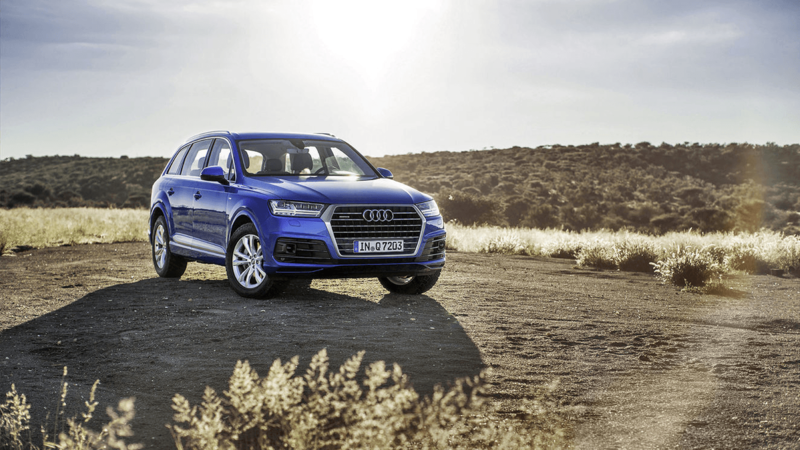 One look at the athletic shape of the Q7 and you know it will never back down. The strong Singleframe grille and wide stance give it a commanding presence. On top of being physically lighter, the Q7 is also designed to look it. Perfectly chiseled lines, chunky wheel arches, and quattro side script draw admiring looks. Standard 19-inch wheels fill the wheel arches perfectly. For the style conscious, a selection of 20- and 21-inch wheels take the visual appeal of the Q7 to a new level. 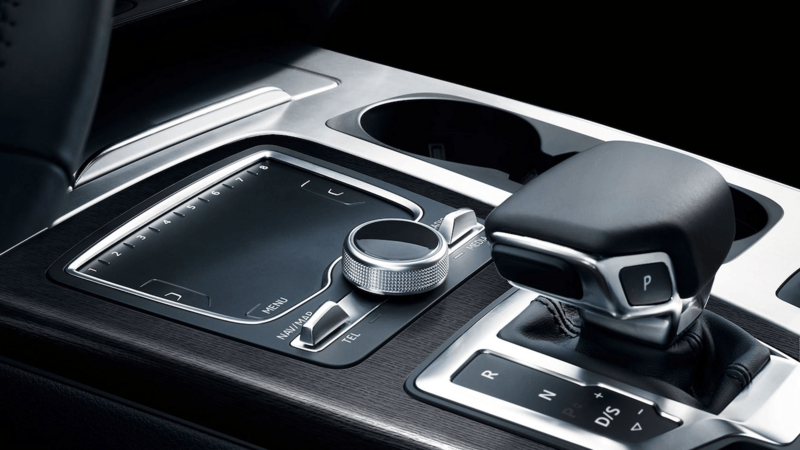 The interior of the Q7 is luxury redefined. 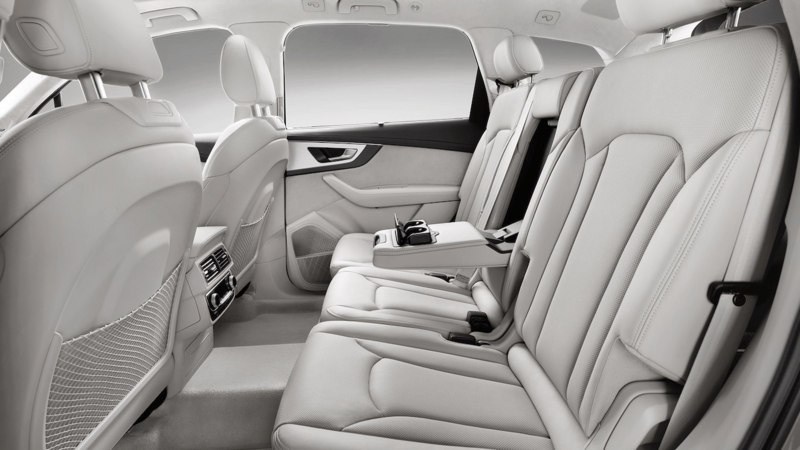 Sumptuous materials and rich leathers combine with class-leading technology to create a cabin worthy of an Audi SUV. The flexible Q7 is ready for any situation. The spacious cabin offers generous space for up to seven passengers, while folding the seats opens up 2075 litres of trunk space. For the ultimate VIP experience, choose the optional Luxury package. The individually contoured driver and passenger seats are wrapped in beautiful Valcona leather and offer heating, ventilation, and massage options. 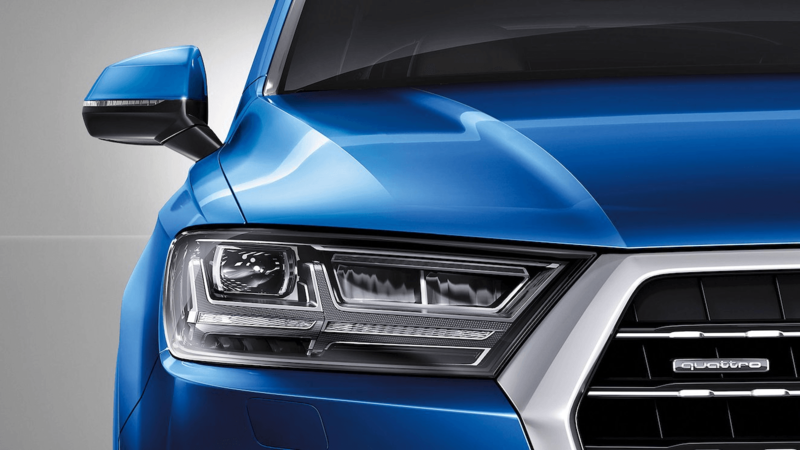 The power and beauty of the exterior are matched by the advanced technology featured throughout the Q7. With intelligent innovations and advanced driver assistance systems, this SUV goes beyond all expectations. Assistance and security are at the core of Audi connect. Take advantage of fully integrated and seamless assistance tools, including intelligent navigation, remote vehicle services, car finder, and roadside assistance. Experience peace-of-mind with security features, including emergency call and stolen vehicle locator. Convenience and safety are at the core of Audi driver assistance. The optional adaptive cruise control with Stop&Go not only adapts your speed to maintain a safe distance from the car in front, it can also slow you to a complete stop and resume the pre-set speed once traffic moves. If this Audi SUV interests you, we encourage you to consider scheduling a test drive at your earliest convenience. Whether you are looking for this SUV brand new or pre-owned, getting behind the wheel is as easy as contacting our representatives today. Feel free to visit us at our Pfaff Audi Vaughan dealership or our pre-owned car facility at 115 Auto Park Circle in Woodbridge. Click here to find our contact information, schedule a test drive, or to fill out our contact form.